Leta doesn’t know how Healthy Start found her, but she describes the organization as a God-send. After back-to-back babies Leta panicked. Simultaneously caring for a newborn and a toddler ushered in postpartum depression and before she could catch her breath she was overwhelmed. Leta’s life began changing after one phone call. A few weeks after giving birth, a Healthy Start community health worker was at Leta’s house and she has since gained an accountability partner. A North Carolina transplant to Pittsburgh, Leta had struggled to maintain positive socialization outside of her husband and kids. She says conversations with her community health worker have been a lifeline. Her Healthy Start connection helps her to manage her time and set attainable goals. 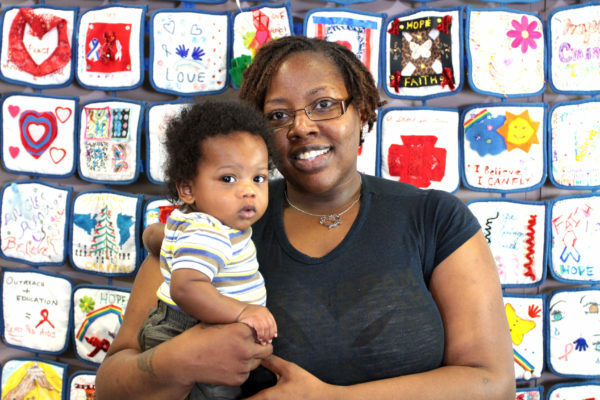 Healthy Start’s Parent Cafe meetings are just a few of the ways Leta is now combating depression and learning to cope with the demands of motherhood, marriage and her household.